Basically, it comes to cutting vegetables, put to saute, add the chicken and go. 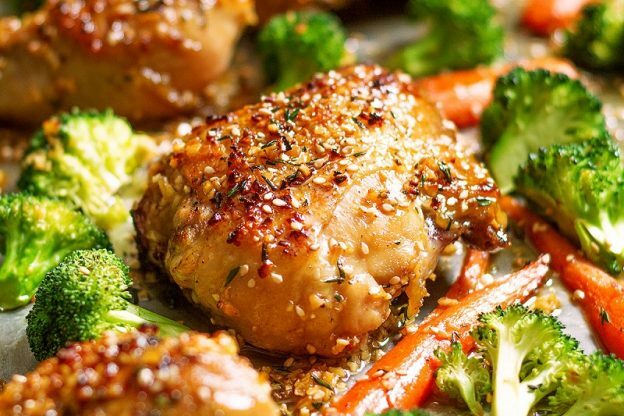 Below, we tell you in more detail the steps to prepare this delicious chicken with vegetables. It is very likely that you already have several (or all) of these ingredients in your fridge and pantry, so this first step in the preparation of the recipe will be very simple. 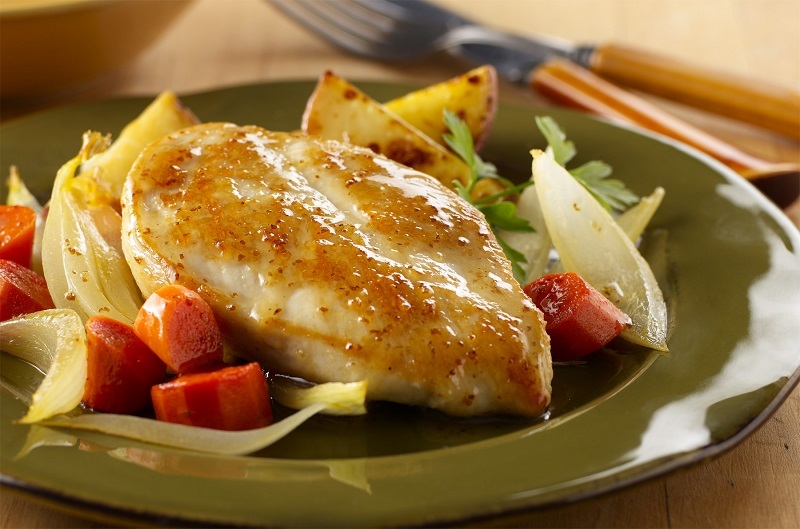 And although it is prepared with chicken breasts in fillets, you can also use pieces of breast or thigh. Everything will depend on you. It should be noted that we have reduced the portions, to get a meal for two people, but you can add more ingredients proportionally, depending on the number of guests you have. 1 large potato (30 g). 1 glass of chicken broth (250 mL). 1 glass of white wine (100 mL). 4 fillets of chicken breast (400 g). 2 peppers, one red and one green, (30 g). Cut all the vegetables (green pepper, red pepper, carrot, and onion) into small pieces. Apart, do the same with the potatoes (which must be previously peeled and washed). Once you have cut all the vegetables, add salt so they sweat while cooking. In this way, we will achieve that they release part of the water they contain and cook more easily. In a pan, add oil and then sauté the vegetables with a touch of salt (to taste). Put water in a saucepan with vegetables such as potatoes, carrots, celery, turnip, leeks and chicken shells. Boil the ingredients in a pot, over medium heat, for several minutes so that the water absorbs all the flavor of the chicken. Add the chicken fillets and add a touch of salt again. Leave to cook for 20 minutes until the chicken has cooked and the broth has been reduced. The vegetables should be like a sauce on the chicken. In some cases, to cook the ingredients, you can simply use salted water instead of chicken broth. But if you do not want to put the flavor at risk, add chopped tomatoes to the vegetables. In this way, you will be adding a slightly more intense flavor to the broth. 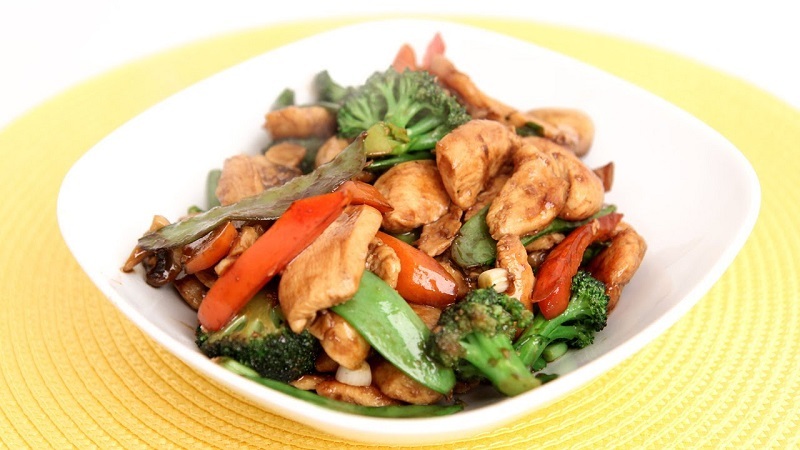 If you like, you can add a good amount of vegetables separately in the same dish as the chicken with vegetables. You can also garnish it with chopped parsley. Note that this recipe is very versatile since you can remove or add vegetables, as you prefer. Of course, everything depends on the taste you want to get. Once you have tried it several times, you will find your favorite point. Take note of the vegetables you used and the amount of them. Of course, you can also vary the amount and type of spices that you are going to use. In some cases, you can even prepare the chicken with vegetables using the oven. Simply add chopped tomatoes and 1 teaspoon of Italian seasoning to the ingredients list. Instead of putting everything in a pan, place all the ingredients together with the chicken, on a tray and bake at 180 ° C for about 15 minutes. If you like rice a lot, you can also add it. Prepare it separately and then add it together with the stir-fried vegetables. You can also make it bittersweet. In this case, you must split the chicken into smaller pieces. To prepare the sweet and sour sauce to follow the steps of this recipe. Enjoy your delicious chicken with vegetables with various side dishes, or in a delicious wrap.